It’s just possible that Alastair Campbell has become the first, and scariest Ghost of New Labour Past – the one who’ll cause panic among government ranks with his every media intervention. This week’s Question Time debacle is evidence of a man, newly re-converted to the opposition mindset, flying quickly out of the traps while the new boys and girls in government show no small amount of clumsiness as they learn the ropes. Campbell, of course, is the consummate political media operator, feared, immitated and gloriously immortalised as Malcolm Tucker in The Thick Of It. Love him or hate him, his political instincts have generally proven to be second to none (with the possible exception of New Labour’s Prince of the Dark Arts, Peter Mandelson). Yes, I’m aware of the nature of many of the things his government did while he was part of the inner-circle at the top of the Labour government. I’m aware of his role in the build-up to the senseless Iraq war and his less than glorious efforts to dismantle the BBC over David Kelly and the revolting Andrew Gilligan. And I know how his style of media misdirection while he was Tony Blair’s Press Secretary did so much to undermine trust in the political arena. But the thing is, when he’s not doing all those things it’s still a genuine pleasure to watch him at work. His gentle invitation to Adam Boulton to lose his rag hilariously on live television (greedily accepted) was as beautiful a demonstration of the art of the wind-up merchant as you’re ever likely to see, and now his very presence on a show as instantly forgettable as the BBC’s Question Time has caused the new government to look precious and slightly paranoid within its first few weeks. Of course, he couldn’t have known that the government were going to be so foolish about the whole thing, but there’s no doubt he grabbed the moment when it arrived, accusing the government of “a pathetic attempt to bully the BBC”. That the Grand Old Master Of Spin managed to throw this jibe in with few questioning his own history of doing exactly the same shows the skill of the man, and highlights the contrast between himself and Andy Coulson, the government’s significantly less sophisticated answer to Campbell. Coulson is your basic tabloid bully and the disgraceful odour of phone-tapping and petulance hang around him from his days as editor of the News Of The World. Sure, being a government Press Officer is an inevitably mucky business, but this week has demonstrated the wisdom of the old hand as opposed to the misplaced arrogance of the new. While I may not be a fan of Alastair Campbell’s time spent defending the indefensible at Downing Street, when the comparison is drawn with the current incumbent it’s a pleasure to watch a true professional at work. A little early for control-freakery, don’t you think? I was slightly surprised to hear that the national Tory/Lib Dem coalition refused to send a representative to sit on the BBC Question Time panel last night. The official reason given was that Labour’s panel member came in the shape of the unelected Alastair Campbell, and that the party should have sent a front-bencher to discuss policy. 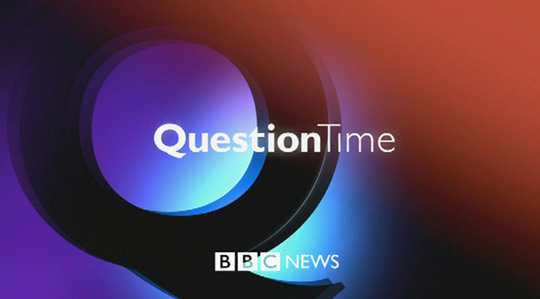 The result was a stand-off, with the government demanding Campbell’s removal and the BBC – rightly – pointing out that it isn’t for Downing Street to choose the Question Time panel. The other-worldly John Redwood presumably leapt at the chance to step in when the BBC came calling for a replacement. The decision by the Labour Party to send a media man like Campbell, rather than a Shadow Minister, is perhaps a little odd in the week of the Queen’s Speech, but it’s nowhere near as odd as the government refusing to turn-up. Alastair Campbell is famous for his combative style, but I can’t imagine any would-be government representative would have been scared to face him (a little anxious, maybe). Instead, this would appear to be an attempt by the new government to flex its muscles in the direction of the BBC. It is an early sign of the same control-freakery which quickly poisoned the New Labour project and I strongly hope it fails. I’ve written before about the BBC and what an asset the corporation is to this country, and it’s no surprise to me that the Tories are attempting to get a few early hits in, using Campbell as their cover. It will be a dark prospect indeed if the Lib Dems, as coalition partners, join in the Murdoch-fuelled assault on this bastion of impartiality which is so highly regarded around the world.